VICTIMS OF WHITE PRIVILEGE WIN IN SOUTH AFRICA. South Africa plans to move ahead with the seizure of largely white-owned farmland. South African government leaders say taking land from whites is necessary to correct decades-old wrongs of apartheid that left deep, systemic wealth inequalities and land ownership disparities for victims of white privilege. BEN CARSON, victim of white privilege. This is dedicated to all those victims of racist "WHITE PRIVILEGE". 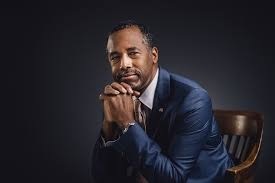 Our first example is BEN CARSON who grew up without white privilege. He could have done anything and been anything, were it not for the evils of White Privilege. He might have graduated from high school, gone on to college, become a doctor and even the world's greatest neurosurgeon. He might even have become president of the USA. White privilege stopped him from being all he might have been. United States victims of white privilege can prevail by moving to South Africa. South Africa will change constitution to legalize taking away white people's property, especially white farmers' land. WHITE PRIVILEGE MUST GO. Reparations must be paid. It's time for white people to live a few hundred years as second class citizens. Vital, eye-opening, and powerful, this unique anthology expertly presents the significance and complexity of whiteness today and illuminates the nature of privilege and power in our society. White Privilege leads students through the ubiquity and corresponding invisibility of whiteness; the historical development of whiteness and its role in race relations over time; the real everyday effects of privilege and its opposite, oppression; and finally, how our system of privilege can be changed. The thoroughly updated fifth edition explores:color-blind racismvirtual probation socioeconomic privilege versus. 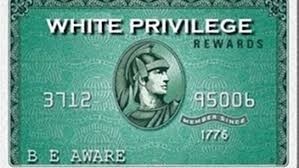 racial privilegeracial profiling,how immigration and questions of citizenship are historically tied to understandings of racethe racial positioning of groups that are neither white nor blackthe commonalities and diverse experiences of people of color,"flying while brown"the politics of respectability in the age of Obama, and more..
VICTIMS OF WHITE PRIVILEGE ACCUSED OF KILLING WHITE, FEMALE COP. Blacks in our nation have been victims of white privilege, ever since their ancestors were brought here in chains on slave ships. After centuries of white man abuse, four young black males from Baltimore City have been accused in the death of a white female police officer in Baltimore County. Authorities say three of the teenagers were breaking into homes when the fourth ran the officer over in a stolen Jeep. Blacks in Baltimore are outraged. Why would anyone blame black youths, plying their trade, of "killing" a white cop. Is this not justice? Is this not payback for centuries of slavery? WHITE MAN DEFINES SOLUTION FOR WHITE PRIVILEGE. One solution to income inequality is giving out free cash, according to the white British billionaire entrepreneur Richard Branson. “A basic income should be introduced in Europe and in America,” Branson told David Gelles of The New York Times. " The income would be paid by those who earn wealth and make good money. By pulling down the income of successful workers, the playing field will be more equal.